What to do with that compact corner in your metro city apartment apartment? How to utilize small space efficiently on a budget? How to have luxury furniture that I can move around with ease?The answer just may be to get a modular Cozy Corner by Ambient Lounge® in this beautiful and tactile luscious grey fabric. Soft, structured bean bag furniture can revolutionise your space and immerse you in luxury. 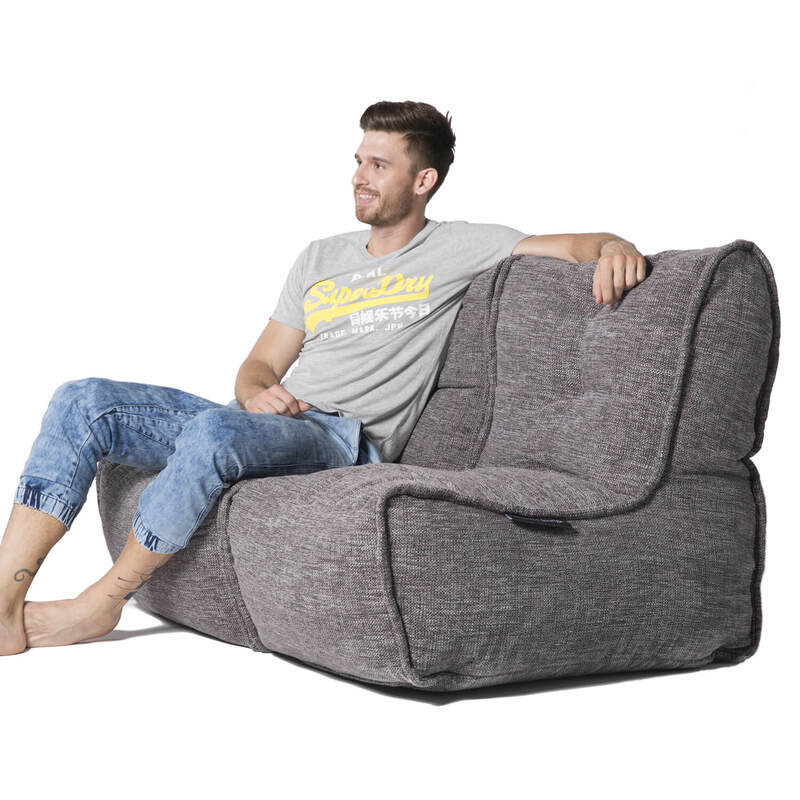 Great for young couples, this sofa Seats 2-3 people easily and is total bliss when stretching out at home by yourself. As many New Zealand urban-dwellers cram into inner city living and the cost of housing rises like a fiscal tsunami – we are challenged to live in smaller spaces. However, having smaller spaces doesn't mean we need to accept smaller comforts. With the Cozy corner soft modular sofa, there’s no need to sacrifice lifestyle and quality of living (room). Smart apartments and suburban homes can get a gorgeous quilted cozy corner 3 piece set in our beautiful interior fabrics, for a fraction of the budget of other contemporary structured furniture.